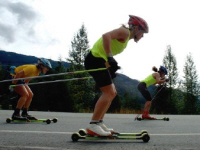 Join our 5-week classic rollerski course: 4 weeks of technical instruction, followed by 1 week introduction to training. Our experienced instructors teach the techniques of classic cross country skiing - the original method of cross-country skiing - amid the inspiring surroundings of London's Hyde Park. 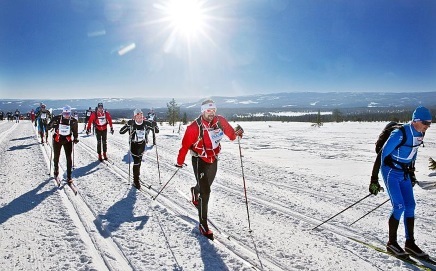 Classic is used in ski touring and ski races such as Sweden's 'Vasaloppet'. We have courses beginning throughout the year, you can find upcoming course start dates and booking details below. Student / youth discount, see here. The course takes you through the essential elements of the three classic 'gears' - diagonal stride, kick double pole and double poling. It will get you into good habits on classic rollerskis. You will also learn how to stop and slow down, and rollerski safely in public. You will work on weight transfer and developing good glide and balance, doing a variety of games and drills. The first 4 weeks focuses on technique, while the 5th week is more geared to training, with less technique. We hope you go on to join our regular training group. Each session will last for 90 minutes, plus allow up to 30 minutes for getting equipment on and off. The course costs £128 including equipment hire and £98 excluding equipment. Please arrive from 18.15 on Tuesdays and 11.15 on Saturdays. We assume zero previous knowledge or ski experience, but you should have reasonable fitness and balance. If you have any questions, please get in touch. Please bring gloves with you, and a filled in Safety Questionnaire when you come to your first session (if you don't have a printer don't worry, we have spares). If you happen to miss a week of the course, you can come to any other session we do. We will try to help you cover what you have missed. Or you can try the other technique, skating. Or call us on 020 8348 2540 or 07968 286129. We train people for all kinds of classic cross-country ski challenges, including ski marathons such as the Birkebeinerrennet (right), holidays, Arctic expeditions and rollerski races. 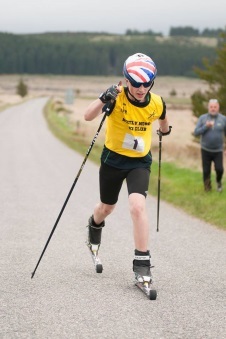 For more on cross-country skiing, and the people we work with, see here. Team? Do you have a team training for a ski race or holiday? 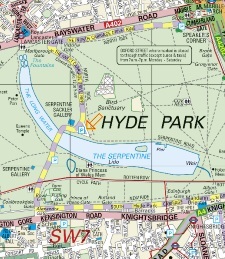 If you have a group of 4 or more, we can run a bespoke course, as above, starting almost any Tuesday evening or Saturday morning in Hyde Park. 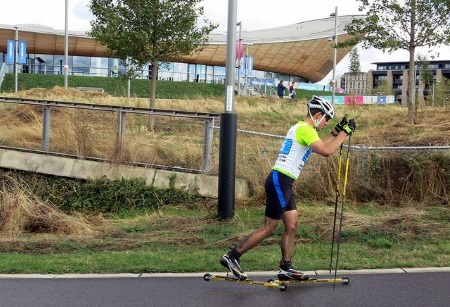 Just drop an email to iain@rollerski.co.uk or call 020 8348 2540.